The indicators provide information that must be analysed and interpreted to know the behaviour of the company during its operation, and thus be able to manage the company more efficiently. Indicators are essential tools that will tell you if your business is on the right track or is deviating from your route. Using the right indicators will help you get the right results. Key performance indicators (KPIs) are the vital navigation tools used by managers to know if the business is on the road to success or if it is getting off the prosperous path. The appropriate set of indicators will show the performance and highlight the areas that need attention. Without the right KPIs, leaders navigate blindly. The problem is that most managers struggle to understand and identify vital metrics, rather than collecting and reporting a large amount of everything that is easy to measure. As a result, they end up full of data but lacking information. For KPIs to be the vital navigation tools that help you understand if your business is on the right track or not, you must first define the strategy and then closely link the KPIs to that. Many organizations fall into the trap of retroactive adjustment goals with existing and established metrics: that is simply looking at what was left behind and then flipping forward. The development of KPIs has to start with your strategy and the objectives of the company are the goal to achieve. An important point is that KPIs should give information and answers to what you need to know. You have to make sure what your information needs are and what questions you want answered before entering any KPI. It is important to design key performance indicators based on your own circumstances and information needs. However, there are some important (and innovative) KPIs that everyone should know about. They will give you a solid base of knowledge. Although, there will be other more specialized measures designed for your specific strategy or industry context. What are the performance indicators for? The measurement system that will define the performance of a certain company will have a set of previously established indicators that must meet the business’ demand, thus analyzing the scope or otherwise of the planned goals. Measuring is important to understand what is happening in the management, what changes should be made and what were the impacts of the changes that have already been made. In short, to improve it is necessary to measure and you can use different indicators. Next, ready indicators separated by classification in relation to their final objective or related to a specific area of the business. If you need to have more control of your bookkeeping and finances, here at Nudge Accounting you will find a professional team to help you lower expenses in possible mistakes your current finance plan may have. Contact us today. We share the main indicators to measure different aspects of companies. Effectiveness. – Is the ability to achieve a particular result or activity. They relate to the reasons for success. The effectiveness is the degree of fulfillment of a task. You can measure, for example, the percentage of compliance with the production plan and the degree of customer satisfaction in relation to orders. Of efficiency. – It has to do with the resources used to reach a certain result. It has to do with the costs. It is related to the fulfillment of the task with the minimum expenditure of resources, whether time, labour, materials or expenses; therefore, based on that consideration, the actual expense against the budgeted expense can be considered. It is usually interpreted as the “degree of waste”, considering that a process is said to be efficient when it generates many products with few inputs. Efficiency is an indicator that allows to indicate what quantity of product was generated from the quantity of inputs applied. Example: average call time to close a sale, total costs, by product, by geographical area, costs by type of customer, among others. Effectiveness. – They measure the general performance of sales as well as sales trends according to the company’s segmentation. There are two types of indicators to measure effectiveness management: The indicators or sales criteria and the measures of customer satisfaction. The measurement of effectiveness is similar to that of efficiency, although this indicator relates the amount of resources applied to achieve business objectives. For example, total sales, sales per product line, by geographical area, quantity purchased, brand loyalty degree, to say some. Performance. – The information it provides is about the performance associated with a task, project or process depending on the methods used for its execution and the way to address it. The metrics they provide help identify weaknesses, strengths and opportunities for improvement. Example: evaluation of the duration of the telephone calls made and the proportion of closed sales. Of results.- It refers to the conclusion terms of a task. they refer to the completion terms of a task. Example: fulfillment of the goal of calls answered by time in a call centre. For improvement processes, performance indicators are necessary, remember that what you do not measure cannot be controlled and what you do not control cannot be managed. It is essential to have excellent control and monitoring of the company to determine its long-term viability. Consulting companies support owners and directors of medium and small companies that want to take their company to the next level and whose social conscience pursues objectives that go beyond economic value because they want to raise the quality of life of both their employees and all those that they touch with their products and services, thus contributing to the positive transformation of the market. 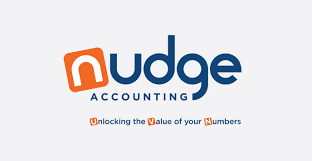 Here at Nudge Accounting we have a specialised ready to assist you with anything related to bookkeeping and professional accountancy.